Learn about flying to southwest Texas by reading "Big Sky Plus Big Bend Equals Big Adventure" by Charlie Spence, IFA Member and Aviation Writer. It features a mini, but thorough tour of the destination, plus all you'll need to know to plan your trip including getting there, objective information on places to stay and eat, and things to do. At the end of the article, we've provided a summary of the contact information for your easy reference. Enjoy! When you visit the Big Bend Country of Texas there are so many things to see and do that one of your difficult decisions will be what to enjoy on this trip and what to save for a future visit. 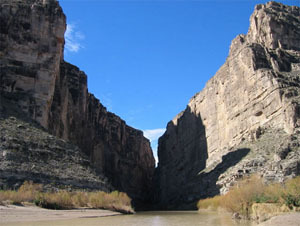 Big Bend gets its name from the big curve in the Rio Grande in Southwest Texas and Northern Mexico. The area is part of the vast Chihuahuan Desert that extends from Central Mexico into New Mexico and here you will find three different life zones: river, desert and mountain. There are millions of acres of public land in this vast, remote, and wildly beautiful region but also nestled in are unique small communities and plush four-star resorts. The Big Bend National Forest and the Big Bend Ranch State Park offer diverse activities for both lovers of the rugged outdoors and the more laid back 'I just want to relax and admire the solitude and scenery' persons. The Big Bend National Park is the only park in the United States that contains a complete mountain range'the Chisos. Hiking, horseback riding, mountain bicycling, Jeep touring, and river running are just of a few of the activities awaiting adventurers. Just meandering through the area in an auto over the paved roads offers the less adventurous the opportunity to ooh and ah at the magnificent scenery around almost every curve. For river runners there are five major and several smaller canyons in the more than 250 miles of protected river in Big Bend State Ranch Park, Big Bend National Park, and Rio Grand Wild and Scenic River. Walls of these canyons rise as much as 1500 feet offering some of the most awesome wilderness scenery found anywhere. Some canyons can be navigated in a single day; others require several days. Shorter trips are available in a few easily accessible river segments outside the canyons. Some areas are more treacherous than others but experienced river runners should find them an acceptable challenge. Local outfitters offer trips as short as three hours and as long as 10 days. A variety of guided tours offer beginners a safe adventure. Do-it-yourselfers can obtain supplies and rent equipment from any of several services. Before undertaking any journey by yourself, talk to some locals, get maps, be sure you stay within your experience level, and remember that you are responsible for any lost or damaged rental equipment and the cost of any rescue efforts. Presidio on the Rio Grande just west of the Big Bend Ranch State Park is a place to start your visit. The state park extends from just east of Presidio to near Lajitas. Drive through the southern section of the park along Route 170'Camino del Rio, or River Road'between the towns. Camino del Rio twists and turns, climbs mountains, crosses arroyos, and hugs canyon walls. At the top of 'the Big Hill' you can look deep into Mexico, west into Colorado canyon and east 75 miles to the Chisos Mountains. The drive can be a challenge. There are few shoulders. The Big Hill is one of the steepest grades on a Texas highway. There is open grazing so you might find cows, horses, burros, or mules on or right next to the pavement. Take it slow to be safe and to enjoy the views. At Presidio you can cross the Rio Grande into Ojinaga, Mexico. Both towns were originally one before the Rio Grande became a border line between two nations. In this town just south of the border you will find shopping at bargain prices and fine eating establishments. The bakery'Panaderia la Francesa'in downtown Ojinaga is well known for its bread and pastries baked in adobe ovens. 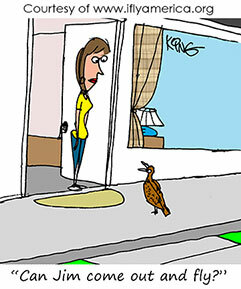 The people are friendly and welcome tourists. Three miles east of Presidio on Route 170 visit the Fort Leaton state historical site. It is a massive adobe fortress built by Ben Leaton in 1848 immediately after the Mexican War. This frontiersman had a profitable trade with native Apache and Comanche tribes, supplied U.S. Army patrols, and was even accused of encouraging Indian raids on settlements in Mexico. Twenty four of the original 40 rooms have been restored and work is progressing on the others. Entrance fee is $2 per adult. Twelve miles before reaching Lajitas stop at historic Terlingua, referred to as the 'Ghost Town.' From the turn of the last century until after World War II, Terlingua was the home of Chisos mine, which extracted cinnabar, or mercury ore. Several structures in Terlingua have been restored or stabilized. Shops and restaurants now occupy the main building that once was the largest store between El Paso and Del Rio. A new generation of inhabitants has restored some of the miners' stone cabins. Much of historic Terlingua is private property, but the helpful people at the Terlingua Trading Company can quickly tell you what areas are off limits. The music scene is lively for a community as remote as Terlingua. 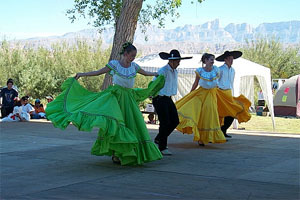 It is a unique Big Bend-West Texas sound that the local dance bands often take to other parts of the Lone Star State and frequently to other parts of the world. The state park is composed of almost 300,000 acres containing two mountain ranges that include extinct volcanoes, water falls, and sheer canyons. It was purchased from the private owners in 1988 and a small herd of Texas longhorns is maintained as a reminder of the ranching heritage. Just east of Lajitas is where you will enter the other park area'Big Bend National Park. While in the area take a drive up highway 385 to the town of Marathon, considered the northern entrance to the Big Bend country. The name was suggested by a sea captain because it reminded him of Marathon, Greece. The town is headquarters for vast ranching activities today and its historic past can be visited at the town museum and the old town jail. Five miles south of town on the Post road visit the remains of Fort Pena Colorado. The fort was constructed in 1879 to protect area residents from Indian raids. After the army defeated the last of the wild Apaches, the fort was abandoned in 1893 but some of the original foundations can still be seen. Today the site is a public park. Thousands of visitors come to the Big Bend Country every year so there is a wide range of accommodations from different levels of camping to resorts to pamper you. There are fees to enter the National Park. The Alpine-Casparis Municipal Airport is two miles northwest of Alpine. It has two asphalt runways'1/19 6000 feet, and 5/23 5018 feet. Elevation is 4515 MSL so watch your density altitude technique. There are NDB, GPS, and RNAV approaches. A courtesy car will take you to Alpine car rental in town. Phone or UNICOM (122.8) ahead and they will have the courtesy car ready. FBO hours are 8 a.m. to 5 p.m. Monday through Saturday and 10 a.m. to 2 p.m. Sunday. 100LL, jet, and jet-premix fuel are available. There are no landing or parking fees. What you intend to do on your visit dictates where to stay. Accommodations range from the basic campsites through bed and breakfasts and modest hotels to plush resorts. For campgrounds, the entrance fee of $15 a week per vehicle covers use of a campsite. In Marathon, the restored West Texas Hotel, built in the 1920s, has ranch-style furnishings and a restaurant serving traditional Texas fare. Rates vary greatly from $65 to $225. The Marathon Motel has 10 rooms, an RV park and campsites. It is on 10 acres with unobstructed views of mountain sunsets and starry skies. In town is the Gage Hotel and a B&B adjoining. In the Big Bend National Park the Chisos Mountain Lodge has 72 rooms, post office, and convenience store. In Lajitas on Highway 170, between the national and state parks, the Lajitas Resort has 72 luxury hotel rooms, two restaurants, bar, swimming pool, shops, and 18-hole golf course. Terlingua Ranch and Cabins offer secluded accommodations with pool, restaurant and quick access to many miles of back country. These are but a few of the many and varied locations in the Big Bend area waiting to welcome you. Make your reservations before you go through IFA's Online Travel Booking Service where you can check rates and book your room and rental car. Deep discounts may apply. Caf' Cenizo and White Buffalo Bar. Near Gage, this place serves creative regional cuisine with the Mexican and West Texas flair. Breakfast and dinner daily, but lunch only on Sundays. Candelilla Caf' on Highway 179 near Lajitas. Open breakfast, lunch and dinner for an extensive menu of regional specialties. Glass on three sides gives excellent view of amazing sunsets. Next door, drop in to the Thirsty Goat Saloon, an upscale western bar often providing live music. El Patio in Presidio features is considered that town's favorite eating establishment. Mexican food, beer, ice cream, salad bar. Notice: This information is current as of October 2004. It is recommended that you contact the numbers, and/or visit the websites above to determine any changes to the information.